About Thao D. Message Thao D.
Great for cruise ship passengers! Thao, was a very good guide knew her way around. The six hours spent on this tour were great and enabled me to see a part of Vietnam that my tour didn't cover, the coffee break and lunch were great also. Thao was a great guide had a good day out with a ride through Van pass stopped off at a couple hidden places along the way.she is also a very experienced rider. Thao D was an excellent tour guide, she gave took me around the town to experien ce it as a local person. I absolutely loved travelling around in her bike and eating all the street food. She was also very kind and helpful with directions and made me; a solo traveller feel very safe. Hoi An was that much more exciting with Thao D and i would highly recommend her as a guide for exploring Hoi An off the beaten track. As a solo traveler, Thao took me on a motocycle highlights tour of the Da Nang region, including temples, cave, pagodas, beach, and adorable Hoi An old town and market. We had Ban Mi (Vietnamese baguette sandwich) and relaxed at a private garden and spa. Wonderful day! I strongly recommend Thao as your guide. Thao was a delight, she met us at the port gate at 9.30 and took us in an air conditioned minibus on trip thru the tunnel and to the beautiful Buddhist temple in Danang and also the 67 mtr Female Buddha. We had lunch in the beautiful French designed Hoi An and returned via China Beach and the magnificent view from mountain overlooking Hue. We had a wonderful day and we were so glad we decided to book an independent tour operator through ToursbyLocals. We had two tours with Thao during our visit to Da Nang. One was a tour of Da Nang, which included Marble Mountains, Monkey Mountain, Lady Buddha and a market in Da Nang. In Hoi An we visited the Terracotta Museum and pottery village before touring the old town. Thao was a wonderful guide. Her English is excelllent. She is knowledgeable, friendly and professional. Our tours were like being shown around by a friend. Thanks, Thao. Thi was a great English speaking guide. We went many places in a short amount of time. The restaurant she took us to in HoiAn was excellent. Great tour for cruise ship passengers. Thao was an excellent guide. She took me to very interesting places not seen by many tourists such as the pottery village in Hoian. She answered my questions very well. Thao was an excellent guide and we had the best lunch ever in a restaurant that geared towards vegetarians and non-veg. Highly recommended. We had a wonderful tour with Thi Hong.She was very accommodating and made sure we saw everything which we had requested. Her interest in photography was an extra bonus and helped us create great photos of our trip. Our guide Hong was flexible about changing our tour and making wonderful adjustments to help us have a good day in Hoi An and DaNang. We saw a lot of great sites and Hong made sure that each person in our group was enjoying their experience. Thao gave a great tour. One of the most important attributes for a guide is to be able to speak English well to communicate all of the important historical attributes. For this reason Thao made the tour extra enjoyable and educational. Please ask her about her family's restaurant in downtown Danang that I went to for dinner. The specialty is FROG, yes FROG and it was so delicious! Our guide Thi Hong was perfect with a excellent command of the English language. She provided a mini van and driver, suggested a great restaurant, and changed the itinerary to meet our desires. The sights we really enjoyed near Da Nang were the fishing village beach and the hill top Buddhist temple. Hoi An, some distance away is world famous and rightly so, is well worth the drive time to visit. Our Guide was professional, knowledgeable, personable, and accommodating. I recommend her highly. Thao is a great guide. She is organized, articulate, and very knowledgeable. Our tour was fascinating. A bit more information and interaction would have been helpful, but overall Thao did a very good job. Thao was a pleasant person and spoke good english. 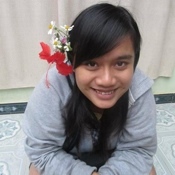 Thao was very knowledgeable about the DaNang area. She communicated well in English, both in writing to answer questions before the trip, and in person during the tour day. She was very accommodating in making sure we were able to see specific areas that we requested. 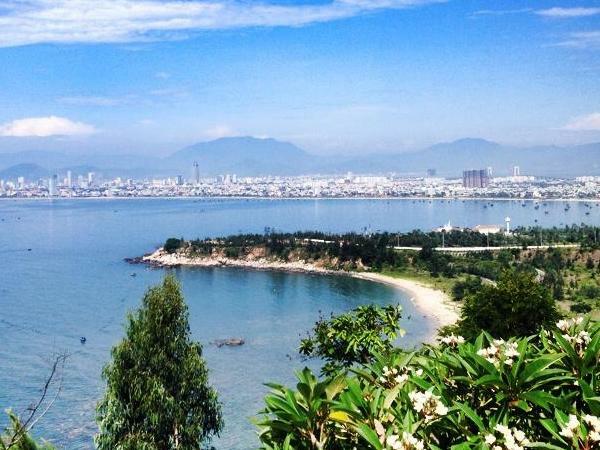 Thao took us to the most beautiful viewpoint to see the city and harbor of DaNang. She even helped us to find the best Vietnamese coffee to take home. We felt completely safe and comfortable and would love to tour with her again. Thao ( or Mappi) was a wonderful tour guide of Hue for my day . Her English pronunciation isn't perfect but her charm, smile and nice personality made up the shortfall .. Thao introduced me to a very nice lunchtime Asian restaurant called Banana Mango for a 6 course basic set meal at 170,00 Dong , great food! Thi was really good very professional. We saw all the sights. Our only complaint was the car had no air conditioning and it was very hot. We were worn out by the end of the day. Thao is a very sweet young lady. She is a bit new at the job of tour guide. She was very knowledgeable about the area and was willing to modify the agenda for us on the tour day as we were driving. Highly recommend her. TOUR GUIDE RESPONSE: Thanks for making my first tour in this ear become so amazing. Thao is a great guide, empathetic to our interests and enthusiastic. We hope to see her again when we visit in March 2013. We thoroughly enjoyed our experience with tour guide Thao D for our tour of Danang, Hoi An, and Hue. She is friendly and knowledgeable, personally engaging the four of us (2 young adults and their parents) while facilitating each of our goals and interests. Thao's style is most accommodating, providing much information, current-day and historic, in a pleasant, relaxed manner. We made many stops, saw beautiful sights, ate delicious local food, yet never felt rushed. TOUR GUIDE RESPONSE: Great tour ever with great people. TOUR GUIDE RESPONSE: Sorry you were disappointed. I think this tour got off on the wrong foot because the guests had to walk 200 m to exit the port. Also the tour lists as extra, a $30 cash charge to meet at the port - I don't think they noticed that and were surprised. TOURSBYLOCALS RESPONSE: We disagree with Dr. Rose's characterization of Thao's English. While it is listed as 'conversational', we feel that it approaches advanced and do not think most people will have trouble understanding her. We've asked Thao to post a video on her profile so that travellers can assess this for themselves. The port situation in Vietnam is very problematic - getting close access can be very challenging and seems to change daily. Thau was exactly the kind of person we like for a guide. She was knowledgeable, spoke good Engish and helped us with a couple of purchases we were looking to make. We learned not only about Hoi An but also about life in Vietnam. She herself was a charming and very interesting person. The only small suggestion would be to use a higher quality car. This one was old and had no functioning seatbelts. TOUR GUIDE RESPONSE: We also had great time together.Enjyoing your next trip and back home safe.Have a nice trip and hopefully i can see you,guys again. Very pleasant person and a good knowledge of the Hue area. It was a long day given the distance the driver and Thao had to travel to pick us up.We appreciated the effort they went to, to make our day pleasant and informative. Thao was very professional, competent and easy to understand. She took us where we wanted to go and helped us to have a very enjoyable day in Da Nang and Hoi An. The best thing about my tour with Thao in Da Nang city was that it was flexible and arranged to suit my needs and preferences. Thao was very accomodating and always made sure that I was aware of where we were heading and checked if I had other requests/ opinions. It was a very comfortable tour, traveling by car and Thao satisfied my curiousity by explaining in more than adequate English and was very helpful with helping us haggle for best prices from shop vendors. We had a very fun time with Thao in danang! TOUR GUIDE RESPONSE: They made my first tour is super amazing.Thanks a lot.